Taking into account the age group of the Leaders, it is very reasonable for parents / guardians to question and -even- worry about the conditions of a study abroad summer program. In TICLS the organizers are fully committed to ensure the safety of the participants, from every aspect. Please ask to review the Program Safety Rules, which has to be acknowledged in writing both by the parents/guardians and the participants. It is also a predictable reaction from some young persons, to object being involved in an educational program during their vacation time from school. Given that LFOF was originally created upon the specific request of high school students, a similar age group, who had been exposed to conventional summer programs, and it is constantly updated to conform to the promise of fun and broader useful education, all we can say is, read the testimonials and try it! 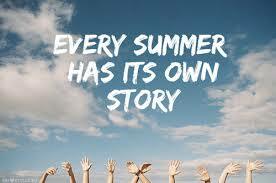 Why choose the Leaders FOF summer program? LFOF Alumni have discovered new world perspectives, career path realities, have acquired motivating and diverse qualities and are on the path of Leadership. It is well known that College admissions can be a distressing competitive experience. Meeting academic requirements is only one of the factors taken into account, but a lot more needs to be presented for standing above the numbers. Work experience, references, essay writing, extracurricular activities, are among the possible requirements. Among dozens of available elaborate programs that are in the market to meet the growing demand, LFOF stands out, simply because it has been created by parents at a similar stage and is managed with the real-world end in mind, beyond theory. 1. Who is eligible for admission to LFOF? What is the age range of the students? Where do the students from? Our summer programs are open to international students who have a genuine interest in exploring the structure and functions of the International Community, learn of other cultures, and, mostly, wish to learn how they can practice their Leadership potential. We are looking for open-minded young people who want to experience a new way of life education, and who are mature enough to do it in a safe and responsible manner. Our students are academically motivated, and they have a broad range of interests in political issues, athletics, social activities, and travel. Students ages 15-18 are eligible, from mature eighth graders to graduating high school seniors. 2. Which language is used in the program? English is the working language for the program, so adequate knowledge is required. If it is not your native language, do not worry, as long as you can understand and basically express yourself. The rest will come before you know it. For English speaking youth, this is the time to start learning some new languages from friends! 1. What will a typical day be like? In brief, days begin with breakfast at 9am and run until bedtime. Take a look at the indicative schedule but, do not despair. Nothing will be as you probably imagine. Get ready to advocate for what you want and work with the team. Initiative and flexibility are the key words! 2. Will I have free time? We try to maintain a perfect balance between structured activities and free time. However, you will discover that free is all the time, as long as rules and regulations are respected. 3. What about the weekends? The schedule goes on. Sunday is usually a day for exploring the area and enjoying the beach, but it is not the only day to do this. Field trips are mandatory for all students. 4. Will I go out at night? Only if it is scheduled and always with the team of Leaders. Remember that you are expected to strictly abide by the program safety rules at all times. 5. Is there a curfew? No curfew really, but you will be expected to be at the designated place. We have had cases where all night discussions were taking place, but they are not allowed in the dormitory room. The dormitory building has plenty of common space, without annoying your roommate. Respect is mandatory. Face-to-face check-ins are done on a nightly basis with no exceptions. 6. Is this a "party program?" What is your policy on alcohol/drugs? While our students always have great fun, with many opportunities for activities and recreation, this is not a "party program." In the case of any use of drugs or alcohol, the program reserves the right to immediately send a student home. Our alcohol policies, safety rules, and academic priorities are taken very seriously, and we will need the relevant document signed beforehand. 7. How are meals handled? Our meal program is unique and a point of distinction. Meals are self-served at the MAICh restaurant usually. The Chef is renowned for his Cretan Mediterranean cuisine, offering the best of local cuisine and variety, using fresh organic ingredients and extra virgin olive oil. The selection always includes a variety of salads and fruit or dessert, besides the main dish. Should you have special requests or preferences, there is a section in your application form to mention them. All costs associated with meals are included with the tuition/fees. Students need not be concerned about having extra money for meals. 1. What size is the LFOF group, and what is the staff to student ratio? We pride ourselves in keeping our summer programs large enough for fun and friendships, yet small enough to have flexibility, promote learning and intercultural interaction. We do not have groups larger than 30 and 40 students in total, and we keep the representation of countries/cultures limited to no more than 4. This promotes language immersion for non-English speakers and communication. The staff to student ratio is almost 1:1 with our extended supervision system. We believe this is one of our greatest strengths, because it allows us to provide authentic and rewarding cultural, academic and personal development experiences that are safe and fun! 2. Who will be teaching the classes? Components are taught by the international Faculty of TICLS, from American and European Universities. All have extensive professional and academic experience but most importantly, dedication for working with young persons. The current team has been involved in LFOF since its beginning. 3. What academic fields the professors represent? This is an interdisciplinary program. The professors are therefore selected from various fields complementing the goal for plurality and personal development. 4. Are the activities mandatory? What is the typical workload? Yes, they are. Students are expected to be on time and prepared for each class, whether a simulation or a presentation. There is no typical workload, involvement is all we request. 5. Are there tests and grades? There is a final exam and an evaluation assessment. Your participation in the workshops and proceedings, as well as your desire to get as much out of the program as possible, is an important part of a study abroad experience. 6. Will I receive an academic transcript or credit? Students will receive the LFOF/TICLS Certificate at the Graduation Ceremony. Credit can be awarded on an individual basis through the student’s home institution, depending on the policies of your school, and we highly recommend that you discuss the issue of academic credit with your school. Regardless of credit transfer, it is important to note that universities and colleges look highly upon the fact that a student chooses to complete an academic program abroad. Students will benefit from TICLS programs not only in their college applications but in their overall education. TICLS believes in the advantages of networking and supports its programs’ Alumni in a variety of ways through time. Reference letters for Academic Institutions, preferred rates at our higher level programs, internship possibilities, even C.V. development through international Conferences and events within our network are available opportunities to all our Alumni. 1. What if I am regularly taking medication or have other medical needs? Can I attend LFOF? Yes. It is strongly advised however to bring along an adequate supply of the medication you are using and the prescription for it, including the generic name of the medication since the commercial name might differ, and your doctor's contact information. It is also essential that you fill out the medical form in your application accurately. If you a have chronic medical condition including allergies, the coordinators and staff, should be informed in due time, to take adequate measures for your safety and health. 2. What happens if I get sick during the program or have an accident? We have the happy coincidence of having the Dean of the Academy who is an experienced Medical Doctor trained for Emergencies on site. Our staff will arrange for a specialist doctor's visit, if necessary, take you to a hospital, help you fill your prescription and otherwise assist you in accessing qualified medical help. In case need for hospitalization arises, the national health system facilities (Chania General Hospital “St. George”) provide adequate high level care. 3. Should I get vaccinations before I go? There is no need for specific vaccinations, and you will need to tell us whether you have had the mandatory vaccinations recommended in your country. In case of an unusual outbreak you will be informed in time. 1. Will I be insured? You are required to have your personal health/medical insurance prior to coming on our programs. Most health insurance companies give members some coverage abroad. The only way to know exactly what is and isn't covered, however, is to ask your provider. Be sure to get detailed information about your insurance policy, coverage terms and limits, the claim procedure and other details. Foreign private health insurance companies with policies covering Greece include AXA PPP Healthcare (www.axappphealthcare.com), BUPA International (www.bupa-intl.com), Exeter Friendly Society (www.exeterfriendly.co.uk) and International Health Insurance (www.ihi.com). European Union nationals can also avail of free healthcare benefits provided they have their E111 forms. TICLS does not provide individual insurance plans. Yes, you must be able to provide proof of medical and accident insurance before starting your program with TICLS. 1. What are the rooms like? They are private rooms in the MAICh dormitory building. Each room is equipped with two single beds, study area, private bathroom and shower, air conditioning, and Wi-Fi. Towels and bed linen are provided. Cleaning is done at least three times a week. Laundry facilities are available. Since rooming contributes to desired outcome, NO change to room assignment is accepted unless approved by the Dean. Yes, you will share the room with a roommate from another country. 3. How are the roommates chosen? Our program attracts students with a very diverse set of backgrounds and interests. We assign roommates by evaluating student applications, interests and personalities. Students will only be placed with roommates of the same gender and approximately the same grade level. We have a policy of not assigning together friends or participants from the same country. An important component of a residential experience is to meet new people, learn from each other's differences, and make new friends around the world. We have seen over many years that the students who have the best experience are those who come with an open mind and an intention to meet new people! It will be up to you to keep an open mind and a positive attitude in order to benefit from this type of experience. 4. Are single rooms available? Only double rooms are available for students. Should there be a special request / reason for a single room please contact us. 1. What are the summer program fees and what do they include? For the program fees, please refer to the Cost & Scholarships section of our site. Prices are in euros and payments must be made in this currency. 2. Do I have to submit a deposit with the application? 3. What if I decide to withdraw from the summer program? Is the fee refundable? If a student withdraws from the summer program for any reason prior to arrival at the program, a refund will be calculated by the following schedule: Before April 1, all but 50€ is refundable. Before May 1, all but 100€ is refundable. Before June 1, all but 500€ is refundable. On or after July 1, the fee is 100% non-refundable. Withdrawal from a summer program is effective on the date that written notification is received by TICLS. The cancellation and refund policy is in effect from the initial receipt of a student's application and deposit, even before he or she is formally accepted and enrolled. If a student is asked to leave the program for a violation of program rules, he or she is not eligible for any refunds or reimbursements, and parents are responsible for the cost of dismissed students' travel home. As described above, the 300€ application deposit and 1.000€ payment are both credited toward the summer program fee. The remaining balance of the program fee is due by July 1. For students enrolling after June 15, full payment is due within 15 days of acceptance to the summer program. If you would like to request a special payment plan, please contact us via phone or email. 5. What payment methods are acceptable? We gladly accept bank transfers, PayPal, Visa or Mastercard. 6. Do you offer any scholarships, financial aid or special discounts? 7. How can you assist in finding additional funding for program fees and travel expenses? Assuming you have been definitively accepted to the program, The International Center for Leading Studies can help you with letters of support or even try to suggest possible sources. You may contact us at lfof@ticls.org . In any case if you are admitted LFOF and are having difficulties finding additional support or are unable to pay your program fees, you are encouraged to contact the our staff. 1. How safe is the LFOF summer program? This is by far the most important question for us. We have developed a very clear set of Safety Rules and Guidelines that will be meticulously enforced and which are supplement the Program Application. Abiding by these rules and guidelines enhances your safety and protects you from many dangers. Our staff will provide supervision during activities and will be available to assist you 24 hours a day, 7 days a week. They can arrange for a doctor's visit, or help you communicate with your family, the staff will always do their best to resolve any problems you might have. However, all of the above will not matter if we do not have your support in ensuring your own safety and that of your fellow participants. We advocate “individual and collective responsibility”. It will be up to you to respect the rules and exercise caution and good judgment in order to stay out of trouble. 2. What happens if I break the safety rules? It means that you have put yourself in a difficult situation by not respecting our mutual agreement, and possibly we can no longer trust you and ensure your safety. In this event, we reserve the right to send you home without refund. 1. What is the process on arriving to the program? You must send us your travel details as requested. Detailed information will be sent to you and your parents/guardians according to indicated travel plans. A TICLS staff with a “Leaders For Our Future” sign will meet you at your point of arrival and take you to the campus. 2. How do I come to Chania? To get to Chania, participants can either fly directly to Chania International Airport, fly to Athens International Airport, or arrive to Athens by car, train, bus. From Athens, you can choose between flying to Chania International Airport or use the ship / ferry boat to the port for Chania (Souda). The code for the Athens International Airport is ATH. The code for Chania International Airport is CHQ. 4. Can I travel to Heraklion and come to Chania from there? Yes, but it is not recommended. The distance between the two cities takes about 2,5 hours (150 kilometers) by bus or taxi from the center of the city. 5. When do I need to come/leave? We recommend students to arrive on the date the program is to begin and leave on the end date. However, if you have problems with available flights from your country please contact us to find the best solution. 6. Can I stay longer or come earlier? If you wish to arrive before or depart after these dates and want to stay at MAICh, the price per night is 52 Euros, and it is not covered by the program. If you do not notify us before 15 June, it might not be possible to reserve a room for you, as there might be no room availability. 7. Do I need a visa? How can I get it? Greece is a member of the European Union and applies the Schengen process. The procedures for entering and a detailed list of countries that require visas can be found here. In case you need a visa, you should contact your regional Greek embassy or consulate for visa regulations as soon as possible. An official letter of invitation will be sent to all students needing a visa. You will need this letter to obtain a visa or any other entry documents. 1. Is there a specific dress code I have to follow? During everyday classes, and evening outings, you may dress casually. However, keep in mind that you need to bring business attire, as there will be some special events, including Graduation ceremony. For the Cultural Presentations Evening, you may want to bring traditional music, dress or other props for the show. 2. What is the Cultural Presentations Evening? What is more, thanks to the Cultural Presentations Evening, participants will be enabled to exchange their cultures and information about their countries. 3. Do I need to issue an International Student Identity Card? It is advisable. The International Student Identity Card allows students around the world to prove their official student status and access over 42,000 student benefits worldwide. For more information, visit the ISIC website, https://www.isic.org/get-your-card/. Ensure there is enough time to deliver your card before you leave as it might take 3-4 weeks for delivery depending on the postal system in your country. 4. What are the weather conditions in Chania? During July and August, the weather is sunny and temperature can reach 38 ºC (100,4ºF), and even more, during the day. Most of the inside areas are air-conditioned, especially classrooms. 5. Can my parents come along? Parents will be welcome to come to Chania, but keep their own schedule. In this case we will be happy to invite them at the Cultural Presentations Evening and at the Graduation ceremony. We discourage involvement in the LFOF schedule and participant will not be excused from the program activities. For particular cases please contact us by email. 6. My parents worry about possible unrest in Greece. Is it safe to come? Yes, it is absolutely safe! The media usually overemphasize minor incidents which usually arise in the center of Athens only. The island of Crete is one of the safest places in the Mediterranean, and one of the top tourist destinations. The organizers –as parents themselves- are fully committed to ensure the safety of the participants, from every aspect. TICLS Dean and Leadership are not only from the country, but well informed and connected to know when and what is safe. One of their major concerns is the safety of all their programs’ participants, so they are taking all necessary precautions at all times. Simply follow the advice of the staff and do not risk. This includes your transfer through Athens. All necessary details will be emailed before departure from your home country. 1. How can I apply for the Program? You can apply for LFOF through our online platform. A unique user ID will be emailed to you. You can use it to enter the system and complete your application. The absolute deadline is May 30. However, there are variations depending upon the need for Schengen visa or if you are applying for a scholarship, since these issues have to be dealt with BEFORE April 14. 3. When will I know that I have been admitted to LFOF? When you submit your application, complemented with all the necessary documents, we will evaluate them and get back to you for the next step. Your downpayment will secure your place and start the procedures for a visa, if needed. 4. What do I do if I am unable to submit the online application form? In case you cannot submit the online application, you can print out the completed application and send it to us along with the other application material by fax or mail. If there are any problems regarding your application, please contact us at lfof@ticls.org .